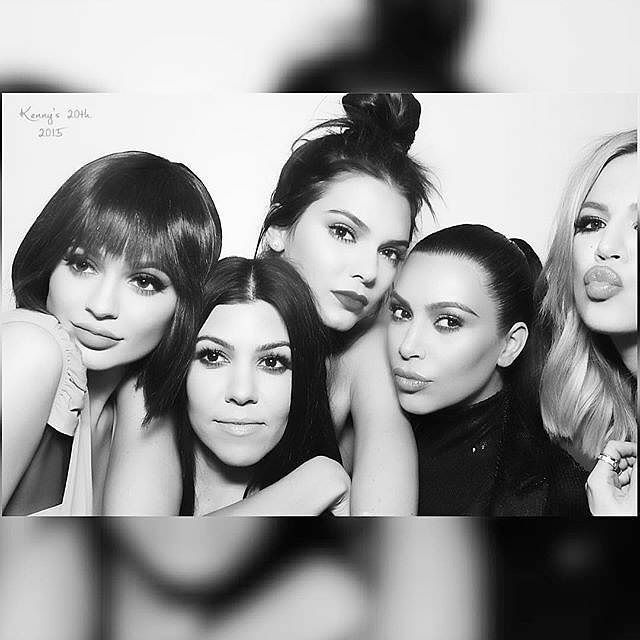 On Tuesday the second youngest Kardashian/Jenner sister turned the big two zero and in true Kardashian/Jenner style they threw one big, sure to be amazing birthday bash full of huge names. Kendall chose her favourite club to be the venue for her 20th birthday at ‘The Nice Guy’ in West Hollywood, California, where she had all her nearest and dearest by her side to throw the ultimate birthday bash. She looked amazing in a Sergio Hudson black jumpsuit, that showed off her amazing model figure… no surprise there! This huge birthday party was an all black theme, followed strictly by the entire Kardashian/Jenner clan with Kim wearing a sequined floor-length black dress, however, Kanye doesn’t shock by turning up in a hoody to the birthday party. To match this glitzy, luxury event, the reality star blew out her 20 candles from a black and gold three tiered cake topped with an icing Chanel No. 5 bottle! To add to this, in true Kardashian style, they have a photo booth machine where Kylie and Kim took tons of pictures to remember the huge event. For such a glamorous event, comes the glamorous guests including famous model and best friend Gigi Hadid and Ruby Rose. Plus Drake, Justin Bieber, Nick Jonas and Jaden Smith also joined in on the birthday action. Alongside those huge names was of course Khloe, her favourite big sister that made a special effort to make it to the event after leaving Lamar at his hospital bed. Despite coming and rocking a brave new shorter hair cut, this blonde bombshell was seen to look fairly distant and unenthusiastic as a result of the recent drama with ex-husband Lamar. 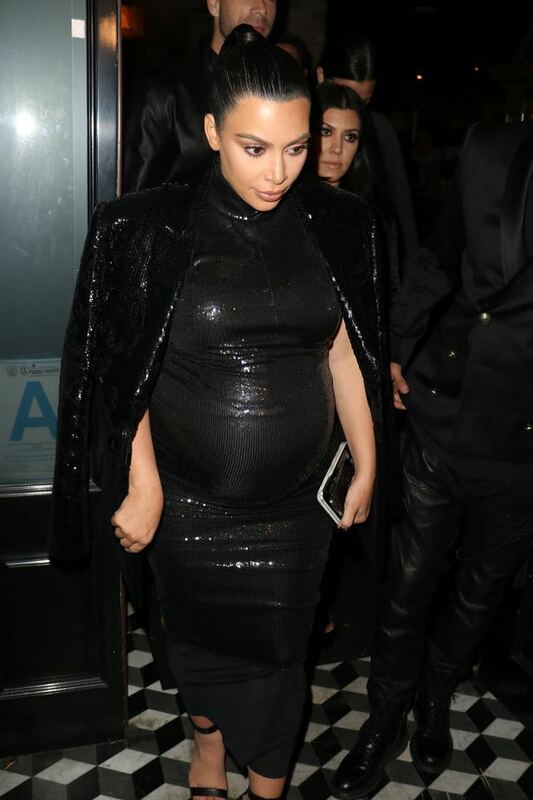 She was also seen leaving early with the eldest Kardashian sister, Kourtney. 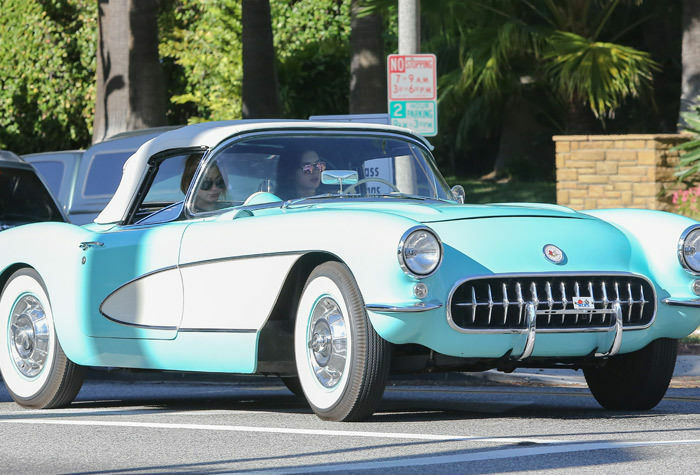 After this amazing looking party, Kendall was spotted driving for brunch in her brand new car, a classic seafoam green 1957 Corvette Stingray. This car did not come in cheap though with a price tag of $100,000, which she bought for herself! Alongside this amazing car, guests were seen entering the party with huge boxes and tonnes of gifts. Kendall definitely partied her teenage years away with style with an amazing looking party. You won't believe how much these Hollywood actors are getting paid! We thought we'd put together 15 of some of her best quotes - though in truth there are too many to put in just one article. 10 Photos That Will Definitely Make You Think Twice – #6 is Just Terrific! Check out these awesome photos that will definitely make you think twice. The 10 Biggest Blunders from the Brit Awards Last Night – Yes No One is Perfect! What is the Brit Awards without a few blunders here and there? Here are the 10 weirdest moments from the show last night!